You can see her blog at http://www.jkroyce.com/?page_id=366. If there is enough interest about how Julie and Officer Hector Navarro of the Liberty, Arizona police, spare while he trys to ensnare her, I will publish an excerpt from Liberty here for all to enjoy. Marilyn Meredith is my guest today and as always, it is great to have her join us. Marilyn will share her thoughts on why we might be justified in taking a break from writing. 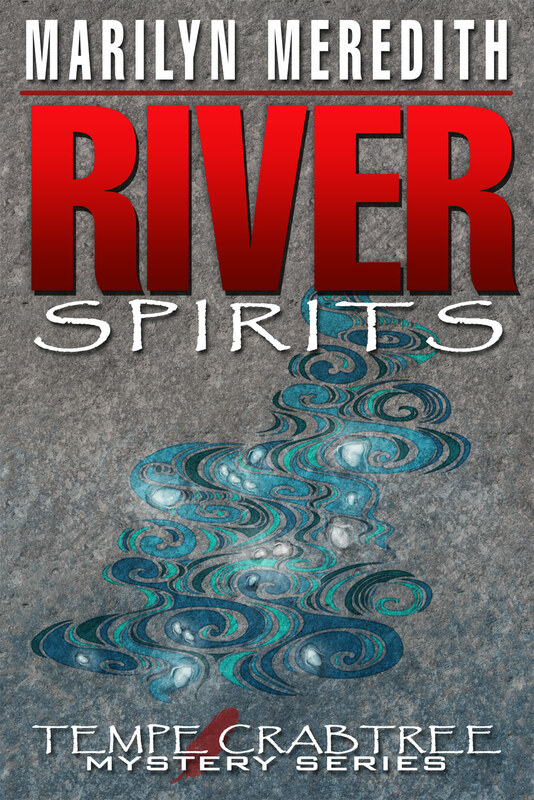 Marilyn will also share a few thoughts about her new book, River Spirits. 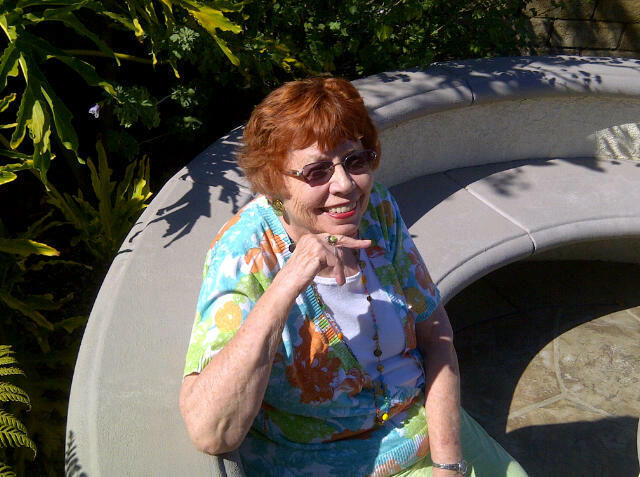 She is the author of over thirty-five published novels, including the award winning Deputy Tempe Crabtree mystery series. 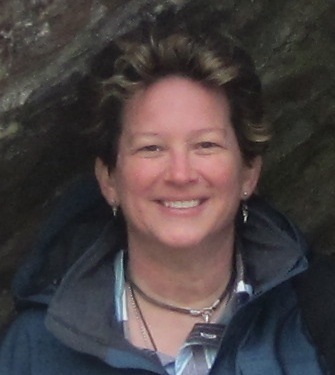 Marilyn is a member of Mystery Writers of America, Sisters in Crime and is on the board of the Public Safety Writers of America. She lives in a community very similar to that of her protagonist, Deputy Tempe Crabtree. You can visit her at http://fictionforyou.com</ul or read her blog at http://marilynmeredith.blogspot.com/. 1. I have non-writing chores to do away from the computer–I do have a regular life. You know like doing errands, grocery shopping, planning and cooking meals. 2. I have a paying writing job. These come every so often and they have nothing to do with the “fiction writing” life. 3. Promotion has taken me away from home. 4. I’m planning/working on promotion. 5. Going on a trip. While I write this, I’m away from home, visiting family. I have a big family and when I get the chance, I love spending time with time with them. 6. But once in a while I do go on a trip just for fun. However, I think what George really wanted me to talk about is refilling the well. What I mean is sometimes when we’ve been doing a lot of writing or finished a book, we need to take time off and do something else. Focusing on something different for a while, can renew our energy. When it’s time to start another writing project, we will be ready. Because I write two different series, when I’ve sent the latest book in one series off to the publisher, I step away from the place and people I’ve been spending so much time with. It’s like shutting the door on them. Though I don’t usually take too much time, I start thinking about the next project long before I’m ready to open the door and step into the other setting and greet the characters who live there. Breaks can refresh you as a writer–whether you take long ones or shorts ones is up to you. Contest: The winner will be the person who comments on the most blog posts during the tour. He or she can either have a character in my next book named after them, or choose an earlier book in the Deputy Tempe Crabtree series—either a paper book or e-book. Tomorrow you’ll find me visiting with Mary Welk. Forty years ago Agent Orange covered Pete head to foot. Not yet known as killers, his platoon cursed the mess left by the defoliate. Later he laughed at their ghost-like photo images. Now sixty-eight, he mused, I’m just another casualty of the Vietnam War. The doctors gave him six weeks. A national tribute to Bob Hope and the military.. Though I’ve experienced several hurricanes, I’ve yet to use one in one my books and there’s a good reason. Both my mystery series are set in California and we don’t have hurricanes here. The Rocky Bluff P.D. series is set in a small beach community in Southern California. I lived in the area for many years, and yes, we did have some winter rain storms and flooding. Living on the coast though, fog is so frequent that it plays a big part in nearly all of my RBPD mysteries. Though new writers are often warned not to begin a book with the weather, using it to up the tension and to add another layer to the action works well. Murder in the Worst Degree does have its share of fog. 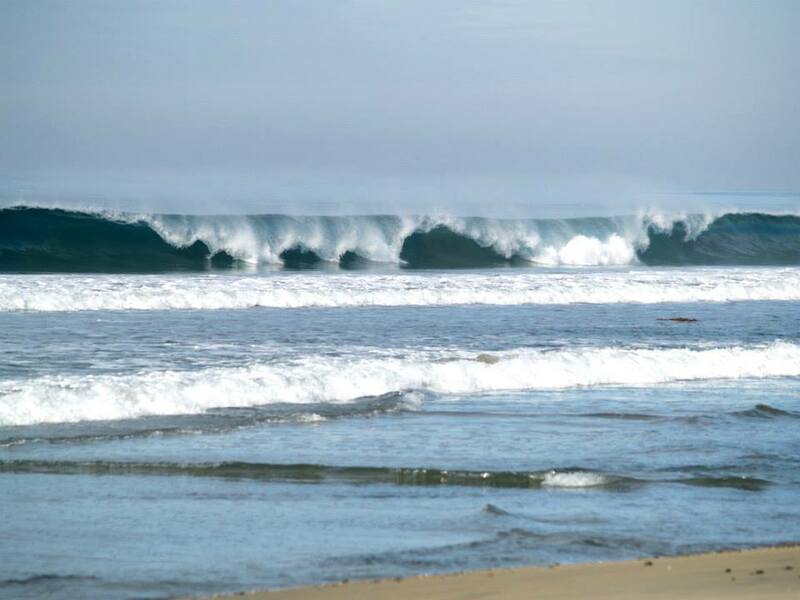 It also has unusual surf which brings in a body—and that’s how it begins. There is one more natural phenomenon that happens in California without warning and yes, it plays a part in Murder in the Worst Degree. If you live in California, you can probably guess what that is, if not, you can read the book and find out what happens and how it affects the story. 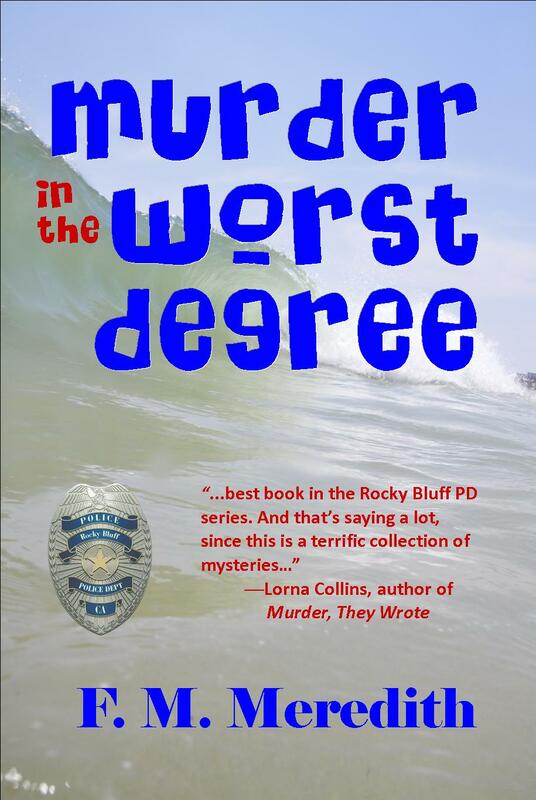 Blurb for the lasts RBPD mystery, Murder in the Worst Degree: The body that washes up on the beach leads Detectives Milligan and Zachary on a murder investigation that includes the victim’s family members, his housekeeper, three long-time friends, and a mystery woman. 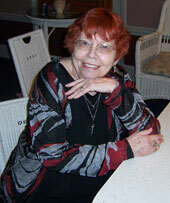 Bio: F. M. Meredith aka Marilyn Meredith is the author of over 35 published books. She enjoys writing about police officers and their families and how what happens on the job affects the family and vice versa. Having several members of her own family involved in law enforcement, as well as many friends, she’s witnessed some of this first-hand. Once again I am offering the opportunity to have your name used as a character in a book if you are the person who comments on the most blogs during this tour for Murder in the Worst Degree. I told you about Jordan Bernal and her not yet published novel back in June. 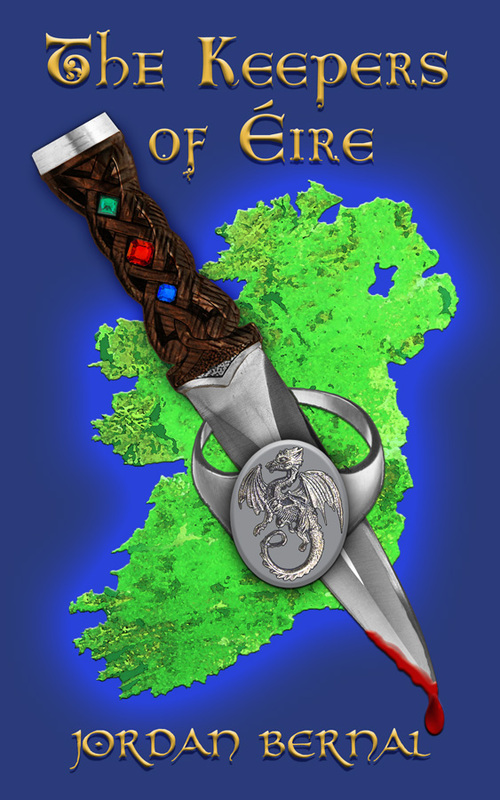 Now this multi-talented woman has published The Keepers of Eire, a fantasy fiction full of dragons and suspense. Haunted by dreams of each murder, Christian Riley, is a man with secrets of his own. As the dreams become increasing vivid, he wonders if he is the killer. When a beautiful American, Devan Fraser, searching for her Irish roots, stumbles into the mystery of the murders while exploring the secrets behind her inherited heirloom dragon ring, sparks aren’t the only things flying. Devan carries her grandmother’s ring. Christian wears a pendant given him by the mother he never knew. When they learn the jewelry bears the same dragon emblem, they discover the truth of dragons, their destinies, and the depths of honor and loyalty they must sustain to protect the ones they love.